You’ve stocked up on sunscreen, curated an epic summertime jams playlist on Spotify, and bought yourself a new pair of flip-flops. You are totally ready for summer 2017. Here are nine top tropical desserts with a Caribbean vibe to help you celebrate its arrival. 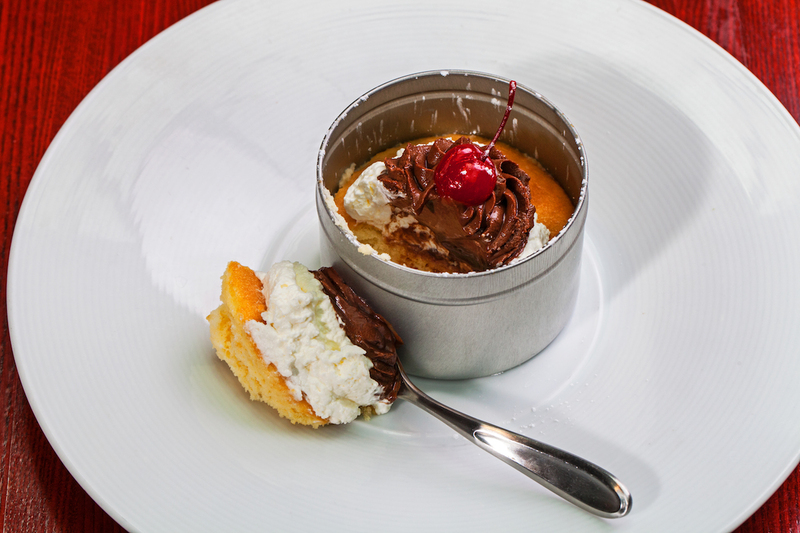 Rounds of tres leches cake divide layers of sweet cream, while brown sugared pineapple and toasted coconut lounge alongside. It all rests on an edible palm frond silhouette. Definitely worthy of an Instagram. Make a reservation for Wolfgang Puck Bar & Grill. 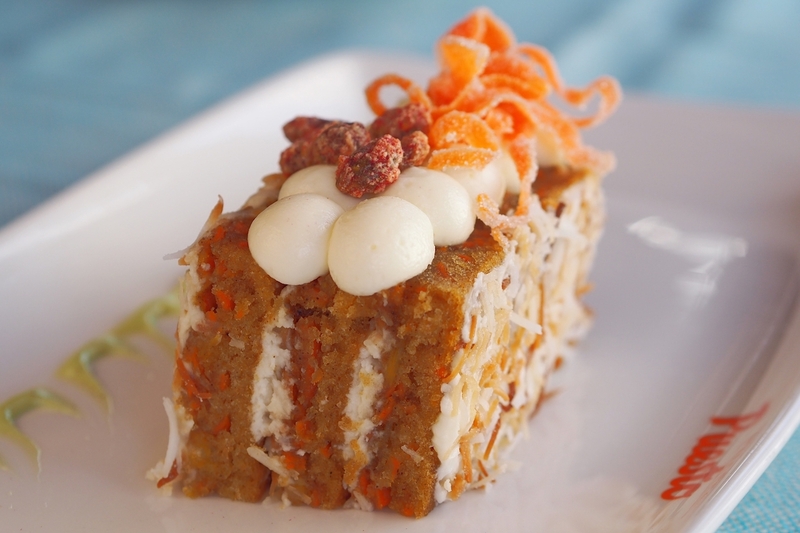 Taste a tropical twist on carrot cake. Pineapples add sweetness and succulence to the triple tiered dessert. Coconut cream cheese frosting, pistachio sauce, and candied carrots complete the treat. Make a reservation at Puesto. Peru meets Puerto Rico. 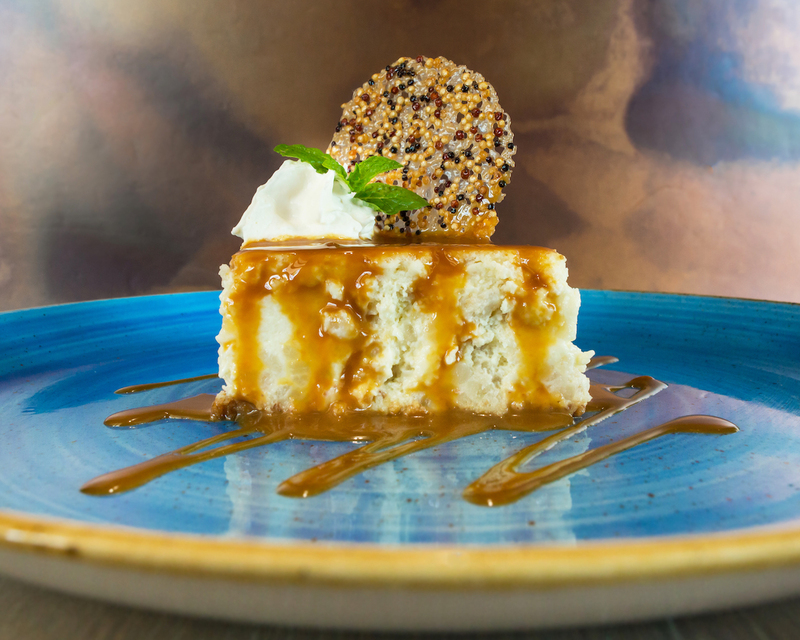 Cheesecake gets dressed up with arroz con leche custard, dulce de leche sauce, and a sweet ‘n’ crunchy quinoa cracker. Eso es genial (That’s awesome)! Make a reservation at Pisco y Nazca. The star here is a disc of custardy coconut flan. 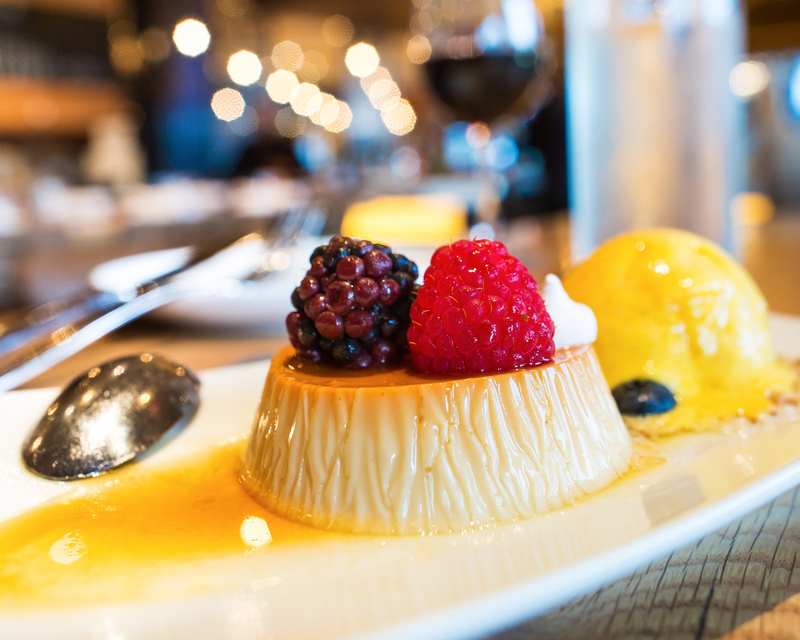 It arrives with passion fruit sorbet and a handful of fresh berries. One bite and you’ll swear you’re in Havana. Make a reservation at Bulla Gastrobar. Tiramisu is not exactly a Caribbean classic. However, this version definitely has an equatorial bent, thanks to the inclusion of mango and lime. We’re sure the Italians would approve. Make a reservation at Lucia’s. Tres Leches, Cuba Libre, Washington, D.C.
We are generally opposed to using the word ‘moist’ when describing foods, but we’re making an exception for this exceptionally moist cake. Vanilla sponge is soaked with three milks: evaporated milk, sweetened condensed milk, and heavy cream. A starburst of mocha mousse completes it. Make a reservation at Cuba Libre. All the flavors of the islands are featured in this sunny sweet. 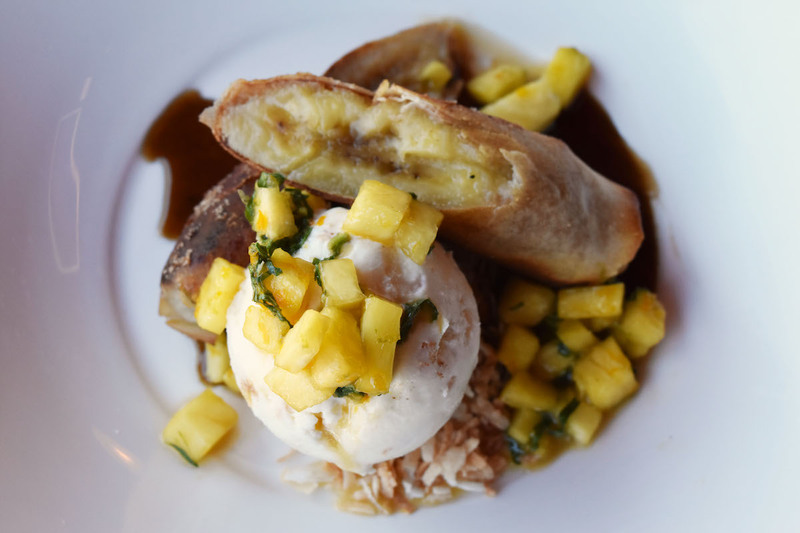 Fried bananas take center stage, surrounded by an all-star cast of coconut ice cream, dark rum caramel, and pineapple compote. You can practically hear the waves crashing against the beach as you eat it. Make a reservation at Trio Grill. Piña colada, now in cake form. 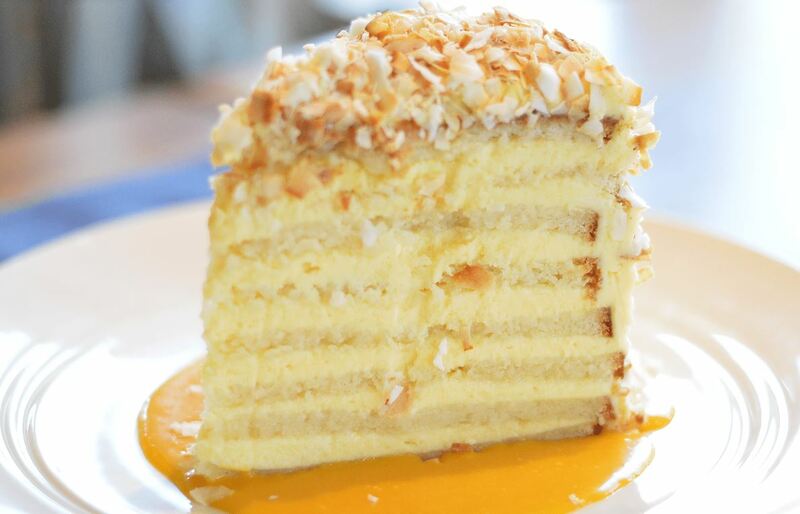 Eight layers of cream cheese and passion fruit cake are interspersed with vanilla frosting and toasted coconut. 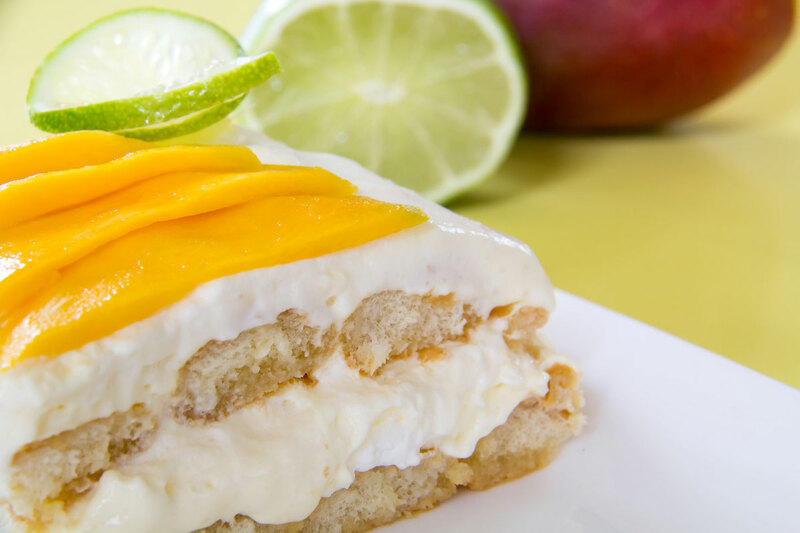 Each slice stands tall in a pool of passion fruit puree and creamy RumChata liqueur. Make a reservation at Laurel Point. Baba au Rhum, Café du Parc, Washington, D.C.
Yo, ho, ho, and a plateful of rum. 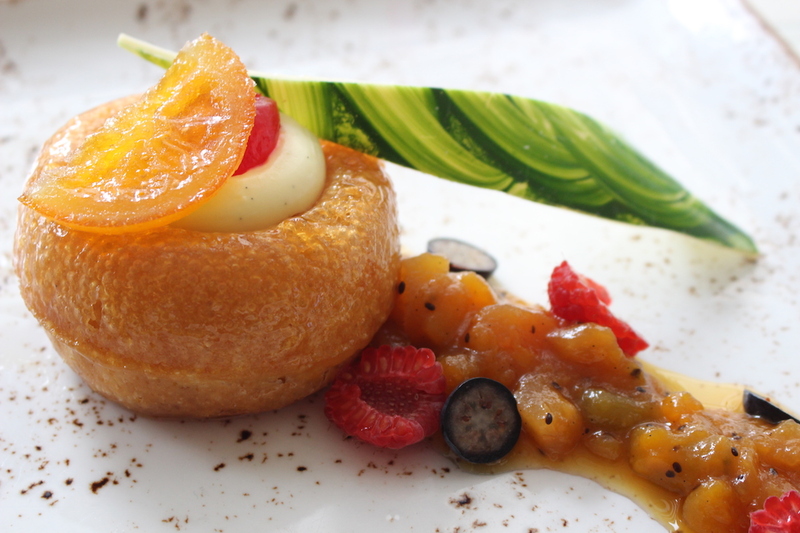 Rummy sponge cake gets glazed with zippy citrus syrup. Pastry chef Jason Jimenez tops it off with glacé cherries and light pastry cream and complements it with a medley of fruit. Make a reservation at Café du Parc. 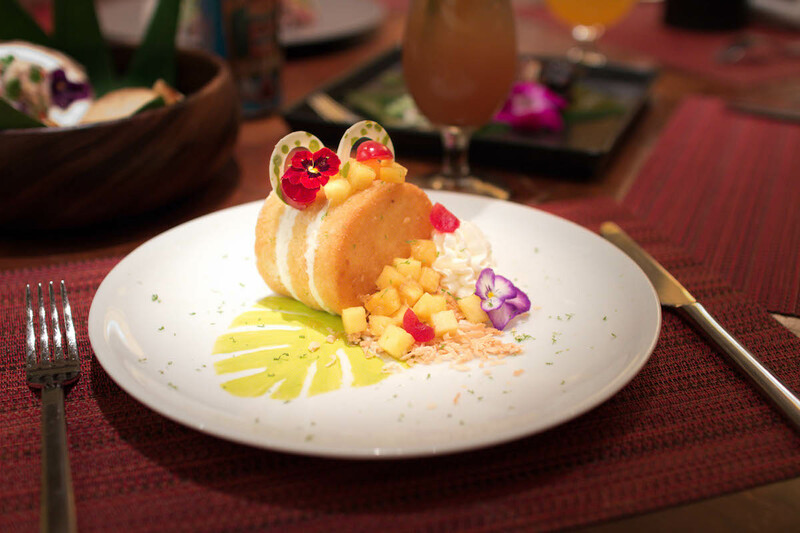 What restaurant serves the top tropical desserts in your opinion? Let us know here or on Facebook, G+, Instagram, Pinterest, or Twitter. And, remember to snap + share your #dishpics with us on Instagram for a chance to win in our weekly giveaway. Photo credits: Carmella Pina (Puesto).